If you hear the name Hannibal Lecter, what do you see? Most people will instantly bring to mind Anthony Hopkins, who won an Oscar for his performance in The Silence of the Lambs and subsequently reprised the role in two further movies, but some will surely think of Brian Cox delivering lines with subdued menace as "Dr Hannibal Lecktor" in Manhunter. This was the first screen appearance of Thomas Harris' brilliant, sadistic villain, but he's very much on the periphery of this picture and had not yet morphed into the camp, spotlight-hogging character that Hopkins would eventually turn him into. When the novel Red Dragon was later adapted for a second time – by Brett Ratner – it seemed as if Hollywood was trying to wipe away the memory of this unusual 80's thriller, but Manhunter deserves a better fate than to be remembered as the "other" Hannibal Lecter movie. The true villain of the piece in Manhunter is Francis Dollarhyde (Tom Noonan), but we don't meet him until almost an hour of the movie has elapsed. Instead, we see the aftermath of his crimes, as the killer known only as "The Tooth Fairy" slays families in their sleep. 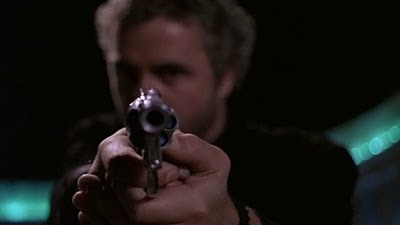 Will Graham (William Petersen) is the tormented FBI agent leading us through the crime scene. At the start of the movie Graham is retired, having suffered a breakdown after his confrontation with Lecktor, but he is coaxed back into action by the Tooth Fairy murders, as his unique perspective on the mind of a murderer makes him the only man capable of bringing him to justice. Graham walks in the footsteps of his prey and tries to enter into the murderer's thoughts. In a superb sequence, Graham reconstructs Dollarhyde's actions as he watches a video of his victims' home movies, gradually starting to see the world through the eyes of a killer. Eyes and the act of seeing are key motifs in Manhunter – "Do you see?" Dollarhyde repeats as he presents images of William Blake's Red Dragon, which he dreams of becoming. After killing his victims, he replaces their eyes with shards of mirrors so he can see his image reflected in them, and the woman he is infatuated with (Joan Allen's Reba) is blind and therefore can't see the disfigurement that he is so conscious of. Noonan's performance as Dollarhyde is sensitive and devastating and his scenes with Allen are beautifully played, but it's Petersen's driven central performance that really impresses. All of the horrors Graham has subjected himself to in the line of duty are visible in his tired face and wary demeanour, and his turn matches beautifully with Cox in their key scene together. Cox plays Lecktor with a relaxed arrogance; we first see him slumped in his startlingly white cell, partially obscured by the door. He only has a small role in Manhunter but he nails it so effectively, capturing the insidious nature of Lecktor's dialogue: "Dream much, Will?" Cox's style is very different to that later adopted by Hopkins and the overall aesthetic of Manhunter is distinct from the later entries in the series. If you need a lesson in how working with a creative, visionary director can affect a cinematographer's work, then compare Dante Spinotti's filming on Manhunter with the images he conjured in Ratner's drably uninspired Red Dragon. Manhunter looks sensational throughout with Mann's typically vivid hues creating a rich, unsettling atmosphere, and his use of a subjective camera makes us see what Dollarhyde and Graham see. The film builds to a remarkable climax set against In-A-Gadda-Da-Vida and when you look at the wide variety of virtues that Manhunter offers it's puzzling that it remains the film received such a lukewarm reception upon its release and that its cult status has taken so long to solidify. At the very least, the film deserves to be considered the equal of the much-lauded The Silence of the Lambs, and in many ways perhaps Mann's film is superior. This may not be the Hannibal Lector you know, but it's one you should know. Both the theatrical and director's cut are present here with the latter featuring a commentary by Michael Mann. He's a dry talker and sometimes states the obvious, but he also offers illuminating technical details and discusses the psychological layers behind his story. 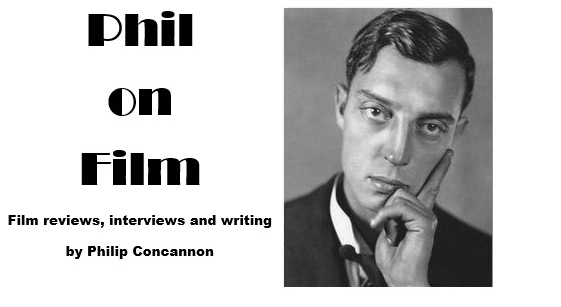 Mann is absent from the retrospective documentary but interviews with the major cast members compensate, and Dante Spinotti provides an interesting interview in which he explains how he and Mann created Manhunter's distinctive look.